Maximum Drive delivers a variety of information on Custom cars, Early and Late muscle cars, Hot Rods, Street Rods, Rat Rods, Lead sleds and Trucks. Buy a single copy or subscription to Maximum Drive magazine. It is the only multi automotive magazine on the market currently. 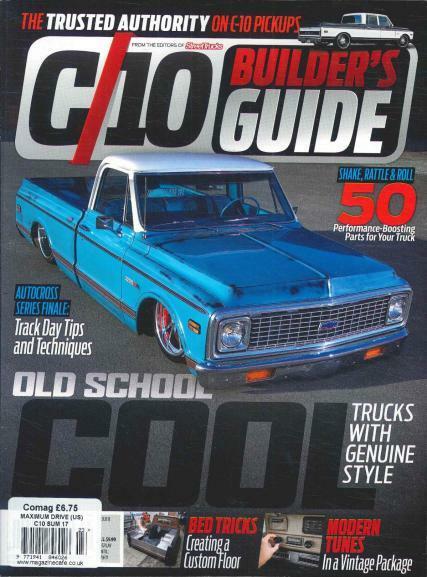 This magazine has a lot of illustrations featuring the custom cars and trucks. There is also in depth technical articles showing hands-on installation sequences. The editors at Maximum Drive are automotive enthusiasts and have years of hands-on experience.